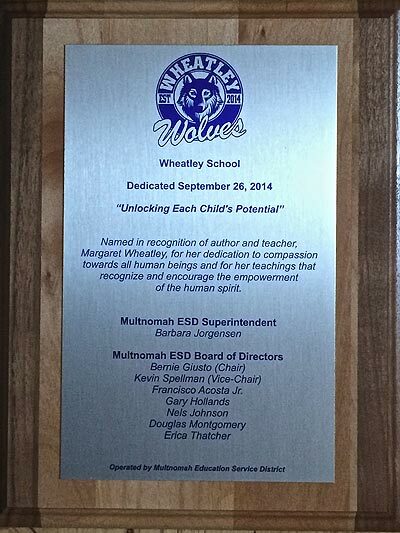 On September 26, 2014, Meg was deeply moved to be present for the inauguration of a school named after her in Portland Oregon (Multinomah Service District). This school serves children ages 5-21 who experience multiple educational challenges and medical complexities. All material copyright Margaret J. Wheatley. Website design by Websites for Good.